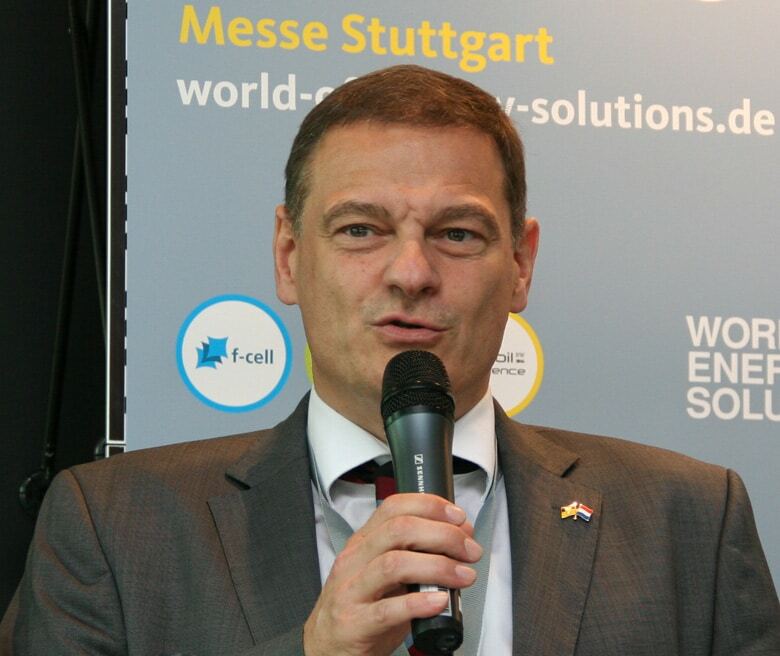 The World of Energy Solutions will be held this year from in Stuttgart Oct. 10 to 12. It will be viewed as a test case for the 30th Electric Vehicle Symposium (EVS), which will take place in 2017 together with the WES on the trade show premises and is an annual highlight for most electric car aficionados. It’s mere speculation at this point whether some companies are saving their strength for 2017. The only thing certain up till now is that the number of 78 exhibitors one month before the event is far removed from last year’s figure (120) – or even from the one of 2013, when it had been above 150. The conference will deal with the usual issues associated with electric transportation and fuel cell technology. In terms of content, the focus is said to be – among other things – on international developments in Asia and the US. For instance, March 2016 was a first for the Japanese government regarding target figures for its own H2 transportation industry, such as registering about 40,000 fuel cell cars and having 160 hydrogen filling stations in operation by 2020. The pioneer in this field is carmaker Toyota with is unequivocal commitment to hybrid and fuel cell technology and its little enthusiasm for purely battery-driven cars. During the WES, Yuki Maehiro from the Japanese economy ministry METI will report on the country’s efforts to change the face of the national transport industry by advancing hydrogen solutions. The situation looks somewhat different in China, where high levels of pollution make quick changes all the more necessary. During the four months at the beginning of 2016 alone, the country produced around 78,000 electric and hybrid vehicles. The People’s Republic’s swift production ramp-up of relevant vehicles has been accompanied by an expansion of the charging infrastructure and the establishment of the necessary political framework. For example, the average consumption of carmakers’ fleet vehicles is to be limited further as per the government’s China Automotive Technology & Research Center (CATARC), which will force them to include zero-emission cars as part of their product portfolio. Cheng Wang, deputy director of CATARC, will have the details. Other speakers who are expected to address the audience are Sunita Satyapal, Director of the Fuel Cell Technologies Office, US Department of Energy, and Diarmuid O’Connell, vice president of business development at Tesla Motors. O’Connell will likely also offer specifics on the Gigafactory currently being built in the state of Nevada. The current developments in Europe will be presented by Jorgo Chatzimarkakis, the new chair of industry association Hydrogen Europe based in Brussels. As a media partner of the WES and the eCarTec, H2-international offers subscribers its annual free-of-charge tickets for the trade show areas of these events. However, both of them require that you be registered for participation. Please contact the editorial board if you’re interested.